While Daft Punk chose to celebrate with the people of Wee Waa, Australia, metal lords Black Sabbath promoted their new album 13 with an appearance on your Nana’s favorite television program, CSI. Last night marked the show’s season finale, which fittingly dealt with murders relating to the three types of sins of Dante’s Inferno. 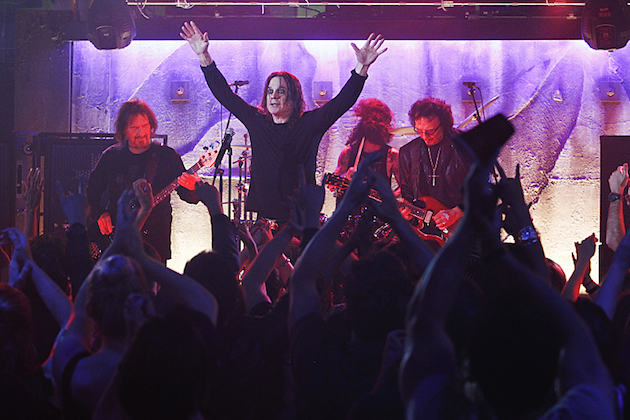 Ozzy Osbourne, Tony Iommi, and Geezer Butler appear in the opening scene of the episode, performing their new song “End Of The Beginning” at an intimate rock club. Osbourne also shares a scene with Ted Danson’s character D.B. Russell, as he takes part in a fictional interview where he forgets meeting the interviewer. What did they say about the best art imitating life? Replay the full episode at CBS.com (the band’s cameo is right at the beginning).